Mortgage rates remained unchanged in the week ending 28th February. The stall in the downward trend came off the back of 3 consecutive weeks of decline. 30-year fixed rates remained unchanged at 4.35%, holding at the lowest level since 7th February’s 4.32%. The figures were released by Freddie Mac. 30-year fixed rates have fallen by 59 basis points since mid-November of last year, the most recent peak. The pause in rates came as concerns over the global and U.S economic outlook continued to linger. Mixed sentiment towards progress on trade talks between the U.S and China led to a mid-week hiccup. The North Korea Summit also ended abruptly, which was not the outcome that the markets were looking for. Economic data released through the week included December housing sector numbers and consumer confidence figures on Tuesday. December factory orders and January pending home sales on Wednesday that came ahead of 4th quarter GDP numbers on Thursday. On the housing front, house price growth slowed further in December, according to the S&P / CS HPI Composite figures. Coupled with falling mortgage rates, the slower growth in house prices will be welcomed news for prospective home buyers. Building permits continued its upward trend in December, following a 5% jump in November. In contrast, housing starts slumped by 11.2%, though this could be more to do with the weather than market conditions. The good news was a combined jump in consumer confidence and pending home sales. Activity in the spring could deliver a much-needed boost to the sector. Finally, the 4th quarter GDP numbers were in line with expectations. While growth was significantly slower than the 3rd quarter, it could have been far worse. Nonetheless, slower growth and FED Chair Powell’s testimony contributed to the steady mortgage rate figures. 30-year fixed rates held steady at 4.35% in the week. Rates were down from 4.43% from a year ago. The average fee also remained unchanged at 0.5 points. 15-year fixed rates fell by 1 basis points to 3.77% in the week. Rates were down from 3.90% from a year ago. The average fee increased from 0.4 points to 0.5 points. 5-year fixed rates also remained unchanged at 3.84% in the week. 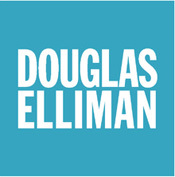 Rates increased by 22 basis points from last year’s 3.62%. The average fee held steady at 0.3 points. Average interest rates for 30-year fixed, backed by the FHA, decreased from 4.68% to 4.64%. Points decreased from 0.58 to 0.48 (incl. origination fee) for 80% LTV loans. Average interest rates for 30-year fixed with conforming loan balances decreased from 4.66% to 4.65%. Points remained unchanged at 0.42 (incl. origination fee) for 80% LTV loans. Average 30-year rates for jumbo loan balances decreased from 4.56% to 4.40%, the lowest level since January 2018. Points increased from 0.23 to 0.29 (incl. origination fee) for 80% LTV loans. Weekly figures released by the Mortgage Bankers Association showed that the Market Composite Index, which is a measure of mortgage loan application volume, surged by 5.3% in the week ending 22nd February. The increase follows on from a 3.6% rise from the previous week. The Refinance Index rose by 5% in the week ending 22nd February. The rise follows on from a 6% jump in the previous week. The share of refinance mortgages decreased from 41.7% to 40.4%, following a fall from 41.8% to 41.7% in the week prior. According to the MBA, home buyers responded favorably to the shift in the mortgage rate environment. Purchase applications for both conventional and government loans were reported to have risen in the reporting week. The upward trend in refinance application volume saw the index hit its highest level in a month. It’s a particularly busy week ahead. On the data front, February’s service sector PMI and December new home sales figures will provide direction on Tuesday. Service sector activity will need to impress to ease any immediate concerns over the economic outlook. Trade figures and February’s ADP nonfarm employment change figures will influence Treasury yields on Wednesday. Economic data out of the U.S on Thursday includes 4th quarter nonfarm productivity and unit labor costs, which will be released alongside the weekly jobless claims figures. Barring a material deviation from forecast, the numbers will unlikely have a material impact. Outside of the numbers, there are plenty of factors that will influence Treasury yields and ultimately mortgage rates. Trade talks between China and the U.S, Brexit, and China’s trade data are just a number of drivers ahead of Freddie Mac’s mortgage rates, which will be released on Thursday. This entry was posted in North Salem and tagged North Salem NY Homes, North Salem NY Real Estate, North Salem NY Realtor on March 6, 2019 by Robert Paul. The Federal Reserve’s main interest rate will jump past the central bank’s preferred inflation measure for the first time in a decade this week, when policymakers announce a widely expected rise in interest rates. The Fed funds rate– the cost of borrowing “excess” Fed reserves overnight, unsecured by collateral by banks and other financial institutions – will rise above the central bank’s favorite measure of the US economy’s inflation rate, the “personal consumption expenditure” index, for the first time since September 2008. The Fed and central banks around the world slashed interest rates in the wake of the crisis, with some even introducing negative interest rates for the first time in history. But with the economic recovery gaining ground, the Fed started raising interest rates in 2015, and other central banks are now following in tightening monetary policy. The US central bank has increased its interest rate target range twice already this year, to 1.75-2 per cent. That has raised the Fed funds rate – the primary target it attempts to move with its interest rate corridor – to a 10-year high of 1.92 per cent. Fed raises rates despite trade war concerns The Fed is widely expected to lift its corridor by another quarter percentage points when it meets on Wednesday, and that will probably in tandem lift the Fed funds rate to about 2.17 per cent. That means that the “real”, inflation-adjusted US interest rate will be in positive territory again, and investors and analysts are now questioning how much further the Fed will raise interest rates. Indeed, another rate increase in December is widely expected, which will probably lift the Fed funds rate above the ‘core’ inflation rate that excludes food and energy costs. However, opinions differ significantly on how much the central bank will tighten policy in 2019. Markets are starting to price in the possibility of two more quarter-point increases in the Fed’s interest rate in 2019. The Fed has indicated that it will raise rates three times, while Goldman Sachs’ economists predict the central bank will have to lift rates four times to prevent the economy from overheating. The US stock market bet the Fed killed the economy through the October-December 2018 quarter. The real estate economy is contracting because of this. This entry was posted in North Salem and tagged North Salem NY, North Salem NY Real Estate, North Salem NY Realtor on February 6, 2019 by Robert Paul. Baby Boomers are staying put and their kids are sticking with them. A study released Thursday by Trulia examined the housing situations of homeowners 65 and older and compared it with a decade ago. It uncovered a 3.4% jump in the number of seniors working in 2016 compared with 2005, and a 1.7% increase in the number living with younger generations. It also showed that seniors appear to be holding off on downsizing just the same as they were 10 years prior. Only 5.5% of seniors moved,according to Trulia, and of those who did, the split was pretty even between single-family and multifamily residences. But Trulia analyst Alexandra Lee points out that while the percentage of downsizers hasn’t changed, the number of those moving actually has. The age at which seniors decide to downsize has also shifted. The survey revealed that in 2005, seniors were moving into multifamily residences by age 75. By 2016, this had moved to 80. The study sought to examine whether Baby Boomers holding onto their homes was driving up home prices. In looking at the nation’s top 100 metros, it determined that Boomers were not eroding affordability. This entry was posted in North Salem and tagged North Salem Homes, North Salem Luxury Real Estate, North Salem NY Realtor on September 21, 2018 by Robert Paul. NAHB analysis of Census Construction Spending data shows that total private residential construction spending fell 0.7% in November to a seasonally adjusted annual rate of $462.9 billion. Multifamily construction spending slowed for the first time since July to a seasonally-adjusted annual rate of $61.9 billion, down 2.9% from the revised October estimate. Despite the slowdown, multifamily spending was still 10.7% higher than the rate one year prior. In contrast, single-family construction spending increased by 1.7% over the month, posting its second consecutive gain. However, single-family construction spending still slipped down by 0.9% over November 2015. Though not as pronounced as the drop-off in multifamily construction spending, home improvements still fell by a substantial 3.5%. On a year-over-year basis, spending on home improvements increased by 6.8%. The NAHB construction spending index shown in the graph below illustrates the recent convergence, though small, of single-family spending with that of multifamily and home improvements. The pace of private nonresidential construction spending increased by 2.5% over the month, more than offsetting the 2.1% October decline, reaching a pace 6.4% higher than one year ago. The primary drivers of this month-over-month increase were spending on structures to be used for lodging (+6.9%) and religious (+9.8%) purposes. This entry was posted in North Salem and tagged North Salem Homes for Sale, North Salem NY Realtor, North Salem Real Estate on January 24, 2017 by Robert Paul. Freddie Mac (OTCQB: FMCC) today released the results of its Primary Mortgage Market Survey® (PMMS®), showing average fixed mortgage rates moving higher for the sixth consecutive week. This entry was posted in North Salem and tagged North Salem NY Homes, North Salem NY Realtor, North Salem Real Estate for Sale on December 8, 2016 by Robert Paul. 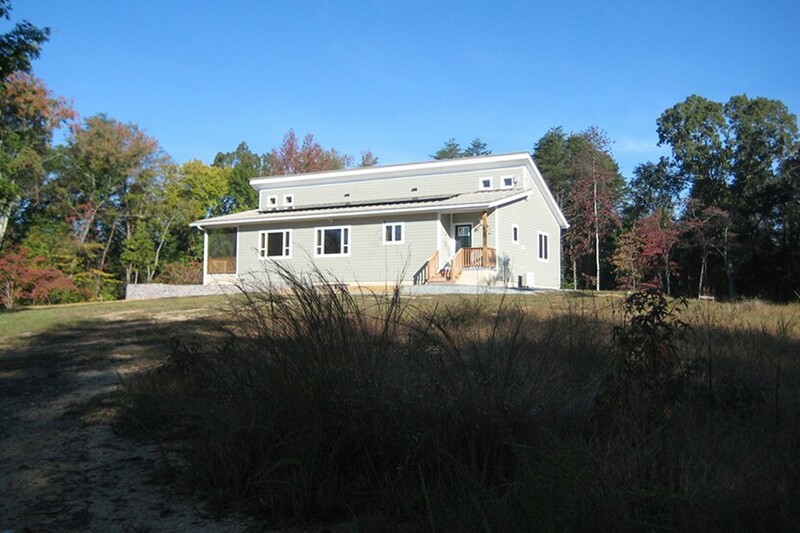 James R. SalomonThe Alfreds’ net-zero residence, in Cumberland, Maine, is a modular design by BrightBuilt Home. 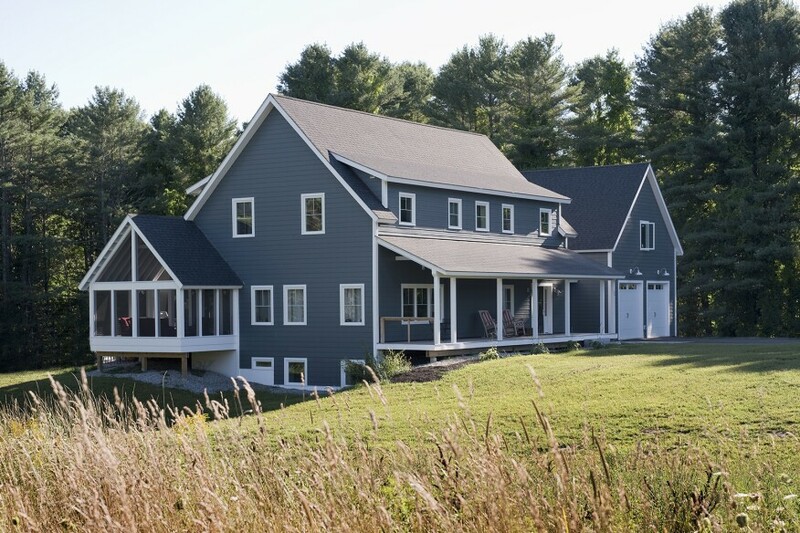 When Shaun Alfreds and his wife decided to build a house for their family of five in Cumberland, Maine, they didn’t know if a high-performance project would be within their budget. “We aren’t wealthy by any stretch of the imagination, but we wanted an energy-efficient home,” says Alfreds, a chief operating officer at HealthInfoNet, a local health information technology company. 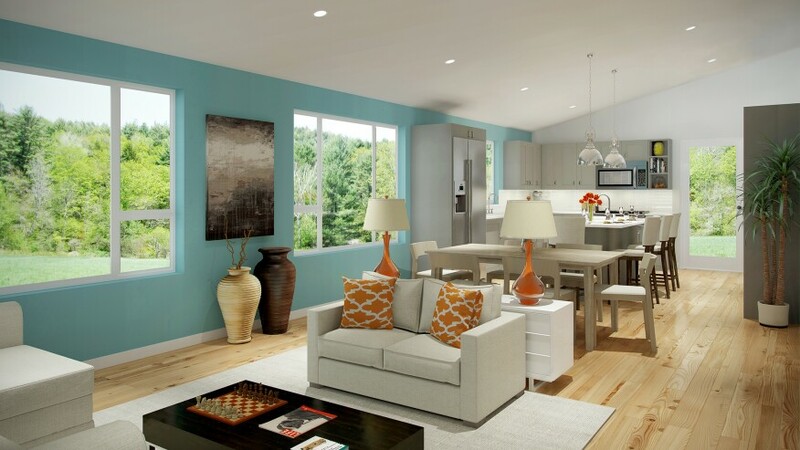 After some research, however, the couple realized that they achieve their dream for a nominal additional investment over the cost of a conventional house if they opted for a modular high-performance house. 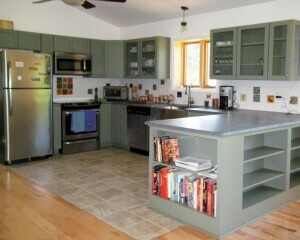 They chose a two-story, Cape Cod–style design from Portland, Maine–based BrightBuilt Home, and moved in last December. At more than 3,000 square feet, the house is spacious, but its full sun exposure and a 10-kilowatt solar array of 39 photovoltaic (PV) panels should cover its energy consumption year-round. Alfreds says the house cost “almost exactly what other [builders] were bidding” for a standard, code-compliant project that was custom designed. And their small additional investment goes to building equity in the house, rather than to paying utilities. BrightBuilt, a sister company of local firm Kaplan Thomson Architects (KTA), joins an increasing number of design companies that are expanding the market for high-performance residential projects. While KTA has custom-designed many energy-efficient houses, principal Phil Kaplan, AIA, says the firm also wanted to offer an off-the-shelf product. In 2015, it launched BrightBuilt with nine design templates. 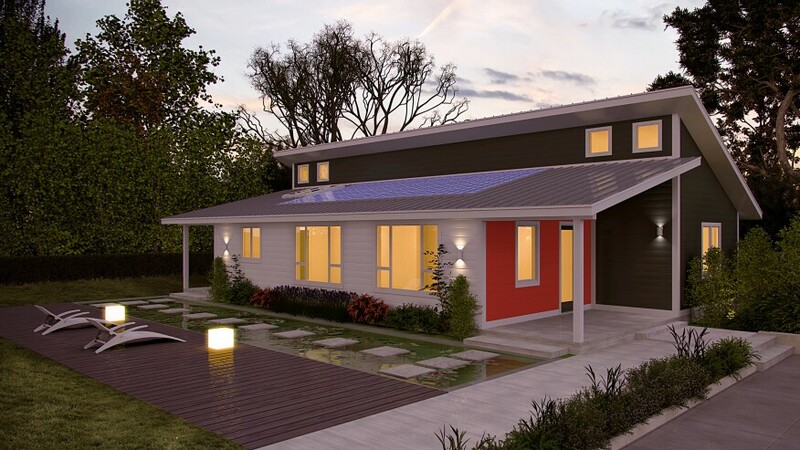 Starting at $175 to $180 per square foot, the houses bring net-zero energy to a price more people can afford. “We’re definitely seeing a lot of demand,” Kaplan says. But some architects and builders have found ways to lower the price of net-zero housing even more. Marie de Verneil dreamed of building a retirement home on land she owned in central Virginia. “To me, green was very important,” she says. However, her savings from teaching French and international relations at the University of Maryland, Baltimore County, didn’t seem like enough. “It’s kind of discouraging for someone like me,” she says. For those wanting to build a passive or net-zero energy house, right-sizing expectations is a crucial step to meeting one’s budget. And, as Deltec president Steve Linton adds, every project—modular or not—must be tailored to the particular site and climate. The company’s design team also conducts an energy model to evaluate site variables, solar energy capacity, building-shell size, features, and cost trade-offs. Much of the market for high-performance housing is around single-family units in the suburbs, but the past few years have seen an uptick for multifamily dwellings and affordable housing projects in cities, including Washington, D.C., New York, and Philadelphia. With savings from the lower utility bills, he says, residents may be able to spend more within the community. The organization plans to study those benefits over time to know whether energy efficiency is the best investment for its limited funds. Living in a high-performance house can take some adjustment. Residents are often unfamiliar with high-tech HVAC equipment, such as energy recovery ventilators and solar water heaters. A tight building envelope also means that the size of the HVAC system can be decreased (fresh air supply is increased for indoor air quality purposes). The word that many residents use is “comfort”—indoor temperatures stay remarkably consistent across different areas of a house throughout the year. This entry was posted in North Salem, Westchester NY and tagged North Salem Homes for Sale, North Salem NY Real Estate, North Salem NY Realtor on October 1, 2016 by Robert Paul. NAHB’s analysis of Census Data from the Quarterly Starts and Completions by Purpose and Design survey indicates that the number of custom home building starts (homes built on an owner’s land, with either the owner or a builder acting as the general contractor) posted a slight increase on a year-over year basis as of the second quarter of 2016. There were 47,000 total custom starts for the quarter, compared to 45,000 for the second quarter of 2015. Over the course of the last four quarters, there were 167,000 total custom single-family home construction starts. Note that this definition of custom home building does not include homes intended for sale, so the analysis uses a narrow definition of the sector. As measured on a one-year moving average, the market share of custom home building in terms of total single-family starts is now 22%, down from a cycle high of 31.5% set during the second quarter of 2009. The onset of the housing crisis and the Great Recession interrupted a 15-year long trend away from homes built on the eventual owner’s land. As housing production slowed in 2006 and 2007, the market share of this not-for-sale new housing increased as the number of single-family starts declined. The share increased because the credit crunch made it more difficult for builders to obtain AD&C credit, thus producing relatively greater production declines of for-sale single-family housing. The market share for custom home building will likely experience ups and downs in the quarters ahead as the overall single-family construction market expands. Recent declines in market share are due to an acceleration in overall single-family construction. This entry was posted in North Salem, Westchester NY and tagged North Salem NY Real Estate for Sale, North Salem NY Realtor, North Salem Real Estate on September 3, 2016 by Robert Paul. This entry was posted in North Salem and tagged North Salem NY Homes, North Salem NY Real Estate for Sale, North Salem NY Realtor on October 28, 2015 by Robert Paul. On the campaign trail, Jeb Bush has repeatedly emphasized his record overseeing Florida’s boom economy as the state’s governor. He says it’s an example of an economy that created a huge number of jobs and benefited the middle class — an example of what he could do as president. “I know how to do this,” he said in Maitland, Fla., on Monday. But according to interviews with economists and a review of data, Florida owed a substantial portion of its growth under Bush not to any state policies but to a massive and unsustainable housing bubble — one that ultimately benefited rich investors at the expense of middle-class families. The bubble, one of the biggest in the nation, drove up home prices and had many short-term benefits for the state, spurring construction, spending and jobs. But the collapse of the housing bubble as Bush left office in 2007, after eight years of service, sent Florida into a recession deeper than that in the rest of the country, and hundreds of thousands lost their homes. “Who got hammered? Lower- and middle-class America,” said Marshall Sklar, a real estate investor who, like other well-off financiers operating in the state, has benefited from the wreckage. Sklar recently won an online auction for a small stucco condominium in Boca Raton that a married couple had bought in 2004 for no money down. They borrowed against it as the state’s housing bubble inflated and then, like so many others, had to walk away heavily in debt when it burst. After buying their busted dream, Sklar flipped it to a wealthy investor, banking a commission. His investor will probably earn a 12 percent return by renting out the condo. The value of the condo was redistributed upward, like so much of Florida’s housing wealth in recent years. “You took it out of the sheep and gave it to the wolves,” Sklar said after touring several houses he recently bought at bargain prices. The story of this house and its owners is in many ways emblematic of much of the experience of Florida’s economy in the 2000s — a story that contrasts sharply with the record Bush recounts. This entry was posted in North Salem and tagged North Salem NY Homes, North Salem NY Real Estate for Sale, North Salem NY Realtor on July 29, 2015 by Robert Paul.